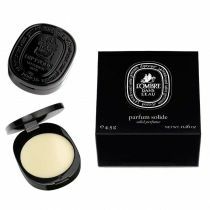 A delicate perfumed wax which you lightly apply on the skin with your fingers. 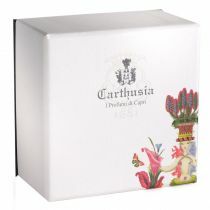 A fresh and vibrant scent by Carthusia. A fresh and vibrant scent, like Capri’s sea breeze, warm sun and blue skies. A sensuous and sophisticated blend of mimosa blossoms, delicate iris and jasmine mingle with fruity notes of peach and Mediterranean bay leaf to recreate the memory of a magical atmosphere. An instant classic. A unique experience, ready to wear – anytime, any place. 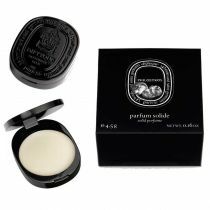 A delicate perfumed wax which you lightly apply on the skin with your fingers. Isopropryl Myristate, Cera Alba, Glyceryl Stearate, Parfum, Cocos Nucifera Oil, Paraffinum Liquidum, Limonene, Hexyl Cinnamal, Alpha-Isomethyl Ionone, Linalool, Coumarin, Benzyl Benzoate, Cinnamyl Alcohol, Lanolin Alcohol, Benzyl Salicylate, Citral, Eugenol, Citronellol, Evernia Prunastri, Butylphenyl Methylpropional, Geraniol, Benzyl Alcohol, Farnesol, Benzyl Cinnamate, Hydroxycitronellal, Evernia Forfuracea, Cinnamal, Isoeugenol, Amyl Cinnamal.